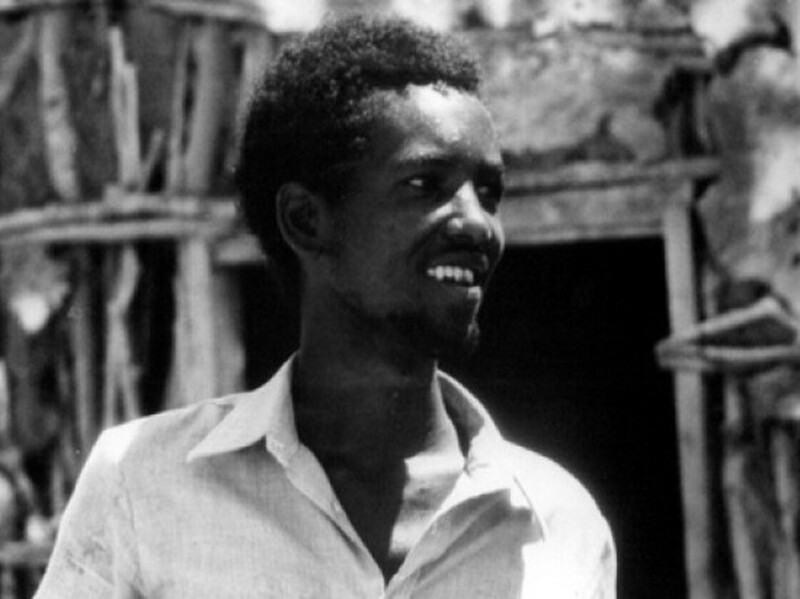 Ali Maow Maalin, global health tragic hero. Thank you for being last. If you read one story about global health people this year, read about Ali Maow Maalin, who died from malaria complications last week. Why this man didn’t get more recognition, awards, and respect defies logic. A global health tragic hero that lived on in the footnotes of public health lectures and PowerPoints but who should have deserved much more. Ali got sick three times. The first time he got sick with smallpox. He had refused vaccination because the shot hurt. He was driving a family who was infected to a clinic at the time. Bad luck coupled with bad decisions but the timing converted him into the last person on Earth to ever have smallpox. While recovering he made sure not to infect anyone else. And smallpox became history. Smallpox is a disease caused by the variola virus. It was devasting: 80% of infected kids died from it. It killed half a billion people in the 20th century. As many as 2 million in 1967. Diagnostics for the disease include modern day PCR techniques, skin biopsies, serologic tests and ELISA. In 1977, some of these had not even been invented and getting access to things like ELISA in the field were far from easy. Essentially, you could tell if you had the disease once it was too late. This still happens all too often in other diseases like dengue. Ali Maow Maalin became his own biosensor, the worst position to be in for any patient. He survived though. It seems that he got sick again. This time he got tired of seeing people die needlessly from polio. So in the later years of his life he dedicated himself to becoming a polio vaccinator. “He would always say, ‘I’m the last smallpox case in the world. I want to help ensure my country will not be last in stopping polio,’ ” Dr. Debesay Mulugeta, who leads polio eradication efforts in Somalia, tells Shots. Polio is a disease we hear about in Rotary clubs and the typical global health background noise, but it’s not one that is on the front pages of American newspapers like HIV, TB or Malaria. We’ve come a long way with Polio. The vaccine doesn’t even require a shot, like the one Maalin got, just oral drops. 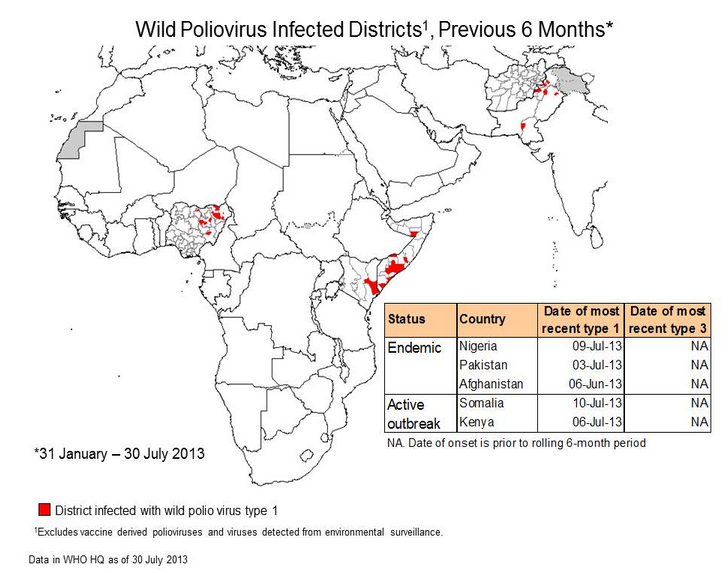 In places like Somalia, it’s recently made a comeback — 95 cases in 2013. So Maalin got to work again, out in the field, like all vaccinators due everyday around the world. And then get got sick for the third time: Malaria. Two days after being in the field he got a fever, was hospitalized and died last week. Maalin won’t be the last person anytime soon to get sick from the last two diseases he ran into. Let’s hope he’s the last real hero of global health who gets forgotten. My quick Google search didn’t find a Twitter handle for him. No Facebook profile. No Klout score. No Linkedin. No awards by institutions who seem to give them out all over the world. Ali Maow Maalin survived into stateless land, living a life given anonymously to his community. A footnote celebrity in the halls of academia and public health. Let’s not ever let that happen again. Part 2 of this will look into how we can remember his service. Your ideas are welcome! Amazing and terrible that he is not better recognised. Maybe a Maalin award for unsung global health heros?